PMP FAQ - Frequently asked questions about Project Management Professional (PMP) Certification exam: With thousands of sites dedicated to PMP certification, it shouldn’t be hard to get detailed information on PMP certification, correct? Wrong. While most websites are able to provide basic information about PMP certification, it’s extremely hard to find a comprehensive and authentic resource on all matters concerning the certification. This page is an attempt to answer almost all the frequently asked questions (FAQs) about the PMP certification program from the Project Management Institute (PMI), USA. I wish I had access to such a resource when I started preparing for the PMP certification back in 2007. I was literally groping in the dark and had no idea how to proceed. It took me several months and plenty of hardships to finally get on to the right track for my certification. This page is the result of hundreds of hours of effort that I’ve spent in gathering all the information. 1.1 What is PMP Certification? The Project Management Professional (PMP) credential recognizes demonstrated knowledge and skill in leading and directing project teams and in delivering project results within the constraints of schedule, budget and resources. It is accredited by the Project Management Institute (PMI), USA, which is the leading global association for the project management profession. 1.2 Who should apply for PMP Certification? Those who lead and direct cross-functional teams to deliver projects within the constraints of schedule, budget, and scope. 1.3 What do PMP candidates do? Candidates are responsible for all aspects of individual projects for the life of the project. Is PMI website clear in explaining every detail of the PMP Certification Process? 2.1 What are the Eligibility Criteria for the PMP Exam? Were you familiar with the PMP Handbook before reading this page? 2.2 What does 36 months of non-overlapping experience requirement mean for the PMP Exam? One of the eligibility criteria for the PMP exam is to have minimum 3 years / 36 months unique non-overlapping professional project management experience during which at least 4,500 hours were spent leading and directing project tasks. So, what does “non-overlapping” experience mean? To answer this question, let me show the reverse situation - overlapping experience. Let’s say that you have managed 2 project in 2013. Project 1 ran from Jan’13 to Jun’13 (6 months), and Project 2 ran from Apr’13 to Dec’13 (9 months). In this case, you have an overlap between the two projects during Apr’09 to Jun’09 (3 months). So the experience from these 3 months is counted as 3 months, and not 3 x 2 = 6 months. Therefore, your total unique non-overlapping experience would be counted as 12 (3 + 3 + 6) months, not 15 (6 + 9) months. The PMP Handbook has a very nice example with a diagram on Page 10, to explain this requirement. 2.3 What is the application process for the PMP Exam? Refer to the PMP Application Walkthrough guide for a detailed step-by-step walkthrough of the PMP application process. You submit an online application for the exam to PMI. Tip: Please make sure that you meet the eligibility criteria before submitting your application. Also, fill your application form honestly and truthfully. If you follow these guidelines, you would have nothing to fear from the audit. 2.4 How do I report my Project Management experience in the PMP exam application? You need to report your Project Management experience hours to PMI as part of your PMP Exam application. The experience is reported process group-wise for all relevant projects. 2.5 How far back can I go for the Project Management experience on my PMP application? 2.6 How do I apply for the PMP Exam? PMP exam application must be submitted online through PMI’s Online Certification System. 2.7 Can I apply for PMP Exam offline through hard copy application form and post mail/fax my application to PMI? Unfortunately, no. PMI has discontinued hard copy application forms since mid-2015. The only option available now is online application through PMI’s Online Certification System. 2.8 How far in advance should I apply for the PMP exam? Read How to get PMP Certification to understand the process of certification. It will help you determine how far in advance you need to apply. 2.9 What are the fees for the PMP Exam? The examination fees vary depending upon whether you are a PMI member. Tip: There’s an obvious benefit in joining PMI before signing up for the PMP exam. The discount on the exam is more than the membership fee. For more on PMI Membership benefits, read 10 Benefits of PMI Membership. 2.10 Is it possible to apply for the PMP exam without being a PMI member? Yes, absolutely. You don’t need to be a PMI member to apply for PMP certification. But only a fool would do so (sorry for the harsh language). PMI membership costs $139, but you get a $150 discount on the exam. So, why would you want to apply for PMP certification without joining PMI? For more details, read 10 Benefits of PMI Membership. 2.11 Will PMI refund the membership discount, if I sign-up for the membership after submitting payment for the PMP Exam? PMI members enjoy $150 discount on the PMP exam fee. However, you must be a PMI member at the time of submitting your payment for the PMP exam, in order to enjoy the discount. If you sign-up for the PMI Membership after submitting your payment for the exam, PMI would NOT refund the membership discount amount to you. Therefore, it is important that you sign-up for PMI membership before you submit your payment for the PMP exam. 2.12 How do I pay the fee for the PMP Exam? You can pay the exam fee on PMI’s Online Certification System. Note: You pay the exam fee to PMI, not to Prometric. 2.13 How long does PMI take to process each PMP Exam Application? 2.14 I’m experienced, but unemployed. Am I eligible for PMP Certification? Being employed at the time of application submission or examination is NOT among the eligibility requirements for PMP certification. As long as you have the required experience as per the PMP Handbook, you are eligible for PMP certification. 2.15 I made an error on the PMP Exam Application? What should I do? To err is human. We all make mistakes. If you have made a mistake in your PMP certification application that you submitted to PMI, do not panic. Email to PMI Customer Care, admit your mistake, and cooperate with them to get it resolved. Refer to the following link for all the details about PMP Audit. Refer to the following link for all the details about PMP contact hours / PDU. 5.1 How do I prepare for the PMP Exam? The above post will guide you through all the steps, resources, tools, tips, techniques, lessons learnt etc. that you need to pass the PMP exam. 5.2 How much time does it take to prepare for the PMP Exam? There’s no right answer for this. Preparation time varies by individual. Most people take about 3 months for preparation. Some claim to do it within a month too, while others take as long as a year. Tip: You can drastically cut down your preparation time if you know the right approach and get the right PMP Certification resources quickly. 5.3 What is the easiest, fastest and cheapest way to achieve PMP certification? Please read Easiest, Fastest, Cheapest and Safest way to PMP Certification. 5.4 Which edition of PMBOK Guide is the PMP Exam based on? Since July 31, 2013, PMP exam is based on PMBOK® Guide, 5th Edition. 5.5 What were the Jan 2016 changes to the PMP Exam? 5.6 Is there any change in PMP Exam pattern from January 2016? Many PMP aspirants are anxious to know whether there’s any change in the exam pattern (such as number of questions, passing score, type of questions, difficulty level etc.) from January 2016. Yes, about 30% of the questions were updated based on PMI’s Role Delineation Study. Otherwise, there is no change in the number of questions, exam pattern, passing score, or the difficulty level. Read PMP Exam Change 2016: New Topics and Study Guidance to learn more. 5.7 What is the difficulty level of the PMP Exam? PMP exam is generally considered difficult. To know more, read the article What is the difficulty level of the PMP Exam. 5.8 Is PMBOK Guide sufficient to clear the PMP Exam? Simple answer is ‘no’. 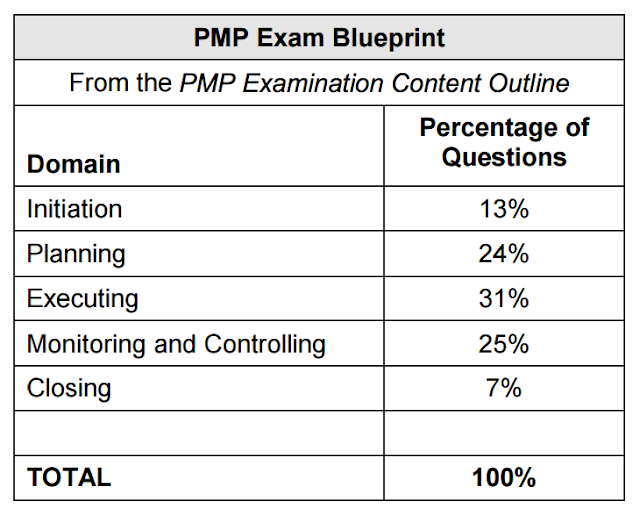 The PMP exam is not based on the PMBOK Guide. Rather it’s based on the PMP Exam Content Outline. There are topics on the PMP exam that aren’t covered in the PMBOK Guide. So, you cannot completely rely on the PMBOK Guide for your preparation. Usually, a combination of a good training program for 35 Contact Hours of PM Education, the PMBOK Guide, a good PMP exam prep guide, and free resources available on the web are what you need to pass the PMP exam. 5.9 What percentage score on sample exams indicates readiness for the real PMP Exam? These scores are applicable to the “first attempt” on the exams. 5.10 How can I get a copy of the PMBOK Guide? 5.11 How often is the PMBOK Guide revised? The Project Management Institute (PMI) revises the PMBOK Guide every 4 years or so. For example, the second edition of the guide was released in year 2000, the third in 2004, the fourth at the end of 2008 (beginning of 2009), the fifth in Dec 2012, and the sixth (most recent) edition in Sep 2017. The sixth edition of the PMBOK Guide missed the 4-year cycle by about 3 quarters. 5.12 Can I Print the PMBOK Guide PDF legally? No, you cannot. Read Why can’t I Print the PMBOK Guide, 6th Edition PDF? for details. 6.1 Where can I find resources to prepare for the PMP Exam? Here you’ll find information on PMP exam prep books, PMP exam simulators, PMP mobile apps, PMI’s official documents, lessons learned posts, exam prep forums, and a lot of free resources. You can get a list of the best study guides for PMP here. 6.2 Which is the best PMP Study Guide? The best PMP Study Guide is PMP Exam Prep, 8th Edition - by Rita Mulcahy. I’ve personally used it and highly recommend it for all PMP aspirants. In one of the surveys I conducted in the past, more than 60% respondents recommended this book for PMP exam preparation. Read 10 Reasons to Buy Rita Mulcahy’s PMP Exam Prep Book for more details. 6.3 Which is the best PMP Exam Simulator? Pro Tip: Even if you purchase an exam simulator, you should try at least couple other free mock exams as well. Remember the age old advice to not put all your eggs in the same basket. Read the next section for the list of free mock exams. BrainBOK PMP Exam Simulator: It is a subscription based exam simulator that has 6 PMP sample exams, which are developed and reviewed by PMP-certified professionals to ensure the highest level of quality. Each exam consists of realistic, unique and challenging question designed to simulate the format and difficulty level of the real PMP exam. Each question is backed by detailed and crisp answer explanations and authoritative reference sources that instill confidence in the students. PM Exam Simulator - 1800 Qs: This is another subscription based exam simulator from the publishers of PM Prepcast. It has 1800 realistic PMP exam practice questions. You can read a comprehensive Review of the PM Exam Simulator to learn more. 6.4 Where can I find the best free PMP exam questions? I’ve compiled the list of 7000+ best free PMP sample questions from across the web. It is by far the most comprehensive list of PMP sample question available on the internet. ITTO is an acronym for Inputs, Tools and Techniques, and Outputs. The PMBOK Guide is organized by 10 Knowledge Areas, their 47 processes, and 618 ITTOs of those processes. Understanding the ITTOs is a key to passing the PMP exam. Worried about ITTOs for PMP? Meet - BrainBOK - world’s best tool to master ITTOs! 7.1 Where do I take the PMP Exam? All computer-based tests (CBT) are administered by Prometric. You can select the most convenient testing center and schedule the exam on the Prometric website. 7.2 Can I take the PMP Exam online (internet-based)? No, the PMP exam cannot be taken online. You need to physically go to the selected Prometric testing center to take the exam. I’m mentioning this explicitly because a lot of candidates think that they can take the exam online. 7.3 How are PMP Exams Administered? Computer-based testing (CBT) is the standard method of administration for all PMI examinations. Candidates who live at least 186.5 miles/300 km from a Prometric CBT site. Employers (Corporate Sponsors) who wish to administer a PMI examination to their employees. In this case, there is no restriction on distance; however only employees of the corporation may test at these events. 7.4 Where can I find the list of Paper-Based Test (PBT) Centers for PMP Exam? You can get a list of Paper-Based Test Centers on the Prometric website - look for Locate a paper-based test event. 7.5 How often are PMP exams conducted? PMP Computer-Based Tests (CBTs) are conducted everyday, all over the world. As I mentioned above, the exam is administered by Prometric. You need to book the exam slot with the Prometric test center near your location. When you get to take the exam depends upon the availability of test slot. Paper-Based Tests (PBTs) are conducted on pre-scheduled dates. The event sheet can be found on Prometric website as mentioned in the previous module above. 7.6 Can the PMP Exam be taken in a language other than English? No and Yes. All PMI examinations are administered in English. However, language aids for the questions and answers of the PMP and CAPM examinations are available to assist you if English is your second language. Language aids are online instructions in one of the 12 languages listed above. 7.7 What do I need to bring to the test center for taking the PMP Exam? 7.8 What type of identification must I bring to the test center for the PMP Exam? The exam confirmation email that you will receive from Prometric will contain the exact identification policy which is applicable to you. You must follow the requirements listed in that email. If you have any questions or concerns, call your test center before the exam and clarify with them. Candidates must present one form of un-expired, government-issued identification that contains the candidate’s name, photograph and signature. The following forms of identification are acceptable only if they meet these requirements: Passport, driver’s license, national identity card, military ID, other forms of un-expired, government-issued, identification that has both signature and photo. If any of the above forms of identification contain the candidate’s name or photograph, but not his/her signature, the candidate can use another form of un-expired identification what provides a signature to supplement the photo-bearing, government-issued ID. Examples are: Employee ID, Bank card, Credit card. For more details, check out Prometric Exam-takers’ FAQs. 7.9 Can I visit the Prometric Test Center before the PMP Exam? Yes, you can visit the Prometric Test Center before your scheduled exam date. In fact, you are highly encouraged to do so. This will allow you to know the directions to the test center and avoid the risk of getting lost, showing up late for the exam, or missing your exam altogether. Tip: When you visit the Prometric Test Center, you can carry along your identification documents and have them verified in advance by the staff at the center to avoid any last minute surprises before the exam. Note that even if you had your identification documents verified in advance, you must bring them again for the exam. 7.10 What (stationery) does the test center provide for the PMP Exam? The test center usually provides a dry erase marker, an eraser, and a small erasable board. Some test centers may provide a few blank papers and sharpened pencils instead. 7.11 How much time is allotted for the PMP Exam? The allotted time to complete the computer-based examination is four hours. The examination is preceded by a tutorial and followed by a survey, both of which are optional and can take up to 15 minutes each to complete. The time used to complete the tutorial and survey is not included in the examination time of four hours. Tip: Exam takers usually use the 15-minute survey, which precedes the exam, to do brain dump of formulas, important terms, or anything else they want to get off their head. Some even take this time to relax or meditate. 7.12 Are 4 Hours Enough to Complete 200 Questions on the PMP Exam? Four (4) hours are more than enough to answer 200 questions on the PMP Exam. You have 1:12 min for each question. Since, all questions are multiple choice questions, it usually takes less than a minute to answer the questions. Most people complete their first pass of all 200 questions within three (3) hours, and the remaining time is spent in reviewing the marked questions. Tip: Try not to spend more than a minute on any question during the first pass. Mark all wordy questions for review and answer them on the second pass. 7.13 Do I need to use a calculator during the PMP Exam? Yes, it’s very likely that you’ll need to use a calculator. The exam is not a test of your math skills and if you can do primary school level calculations in your head, you don’t need a calculator. However, people are known to mess up ‘2+2=4’ type calculations under intense pressure, and it won’t hurt to verify your results on a calculator. Nowadays, the exam has a calculator application built into it. In the initial tutorial before the exam, you’ll be guided on the steps to use the calculator. So, rest easy. You don’t need to carry your own calculator (in fact, you won’t be allowed to). 7.14 Is there any official break during the PMP Exam? No. The PMP Exam is for 4 continuous hours, without any official break. The clock doesn’t stop once it starts ticking, until the end of the exam. However, you are allowed to take breaks - nature, or regular - during the exam at your own expense (time). It’s best to check with the Prometric test center, where you’ve scheduled your exam, about their policy on this matter. 7.15 Can I end the PMP exam earlier than 4 hours and walk out of the test center? Yes, definitely. You can end the exam anytime after starting it, and walk out of the examination center. However, you cannot pause and resume the exam. If you take any breaks during the exam, the clock keeps ticking. 7.16 Can I Read Books or Review Notes during the Break in the PMP Exam? As funny as it may sound, but this is an actual question asked by many people. So, I have to address it. The simple and clear answer is ‘No’. You would be under supervision even during the break. Moreover, it would amount to cheating and thus go against the PMI Code of Ethics and Professional Conduct. 7.17 What if I Do Not Show-up for my PMP Exam? No-show is as good (or rather as bad) as failing the exam. Unless it’s a matter of life and death, you’ll have to pay the re-examination fee to take the exam again. But if it is indeed a “special case”, you can write to PMI Customer Care for consideration. Refer to PMP Exam Schedule and Reschedule FAQ post for details. 9.1 What is the format of PMP Exam Questions? All the questions on the PMP Exam are multiple-choice questions. Each question has exactly 4 answer choices. 9.2 How many Questions are there in the PMP Exam? PMP Exam comprises of 200 questions. Of the 200 questions, 25 are considered pretest questions. 9.3 What are Pretest Questions? A PMP Exam consists of 25 Pretest questions. Are used in examinations as an effective and legitimate way to test the validity of future examination questions. Tip: If you have studied the PMBOK Guide well, referred at least 2 exam guides (apart from the PMBOK Guide), attempted at least 1000 sample questions, reviewed other exam resources, and you still see a totally “out of the blue” question on the exam, there’s a high probability that it may be one of those 25 Pretest questions. 9.4 Is there any negative marking in the PMP Exam? No. There’s no negative marking on the PMP exam. Tip: Even if you don’t know the answer, take a guess, but don’t leave any question unanswered. 9.5 Can I bookmark a question on the PMP Exam and revisit it again? Yes. You can mark a question for ‘review’ and revisit it anytime during the exam. You can use this feature to your advantage. Tip: If you are not sure about the answer of a particular question, just go by your instincts or your best guess and select an answer. Mark this question for review. Complete the first pass of all the (200) questions and then revisit the questions marked for review at the end. By the way, don’t forget to bookmark this page and revisit it again. 9.6 Are the answers to questions marked for review on the PMP Exam counted? Yes. As long as you’ve answered the question, it is counted at the end of the exam, irrespective of whether it’s marked for review or not. 9.7 What is the Domain-wise distribution of PMP Exam Questions? The PMP examination is developed based on the PMP examination blueprint contained in the PMP Handbook. The examination blueprint details the percentage of questions contained in each project management process group. The following represents the percentage of questions in each domain that are included in the examination. 9.8 Which are the toughest topics on the PMP exam? Among the Knowledge Areas, the toughest are Procurement Management, Risk Management and Integration Management. I remember that I had loads of questions from Procurement Management. Also, many times one question cuts across several different Knowledge Areas. Among the Process Groups, Monitoring & Controlling and Initiating are the toughest. 9.9 Which formulas should I know for the PMP Exam? All the formulas that you need to know for the PMP Exam are mentioned on this post: Review of PMP Formula Study Guide. Refer to the following 2 part series on PMP Passing Score. 11.1 What does a PMP Certificate look like? Pretty anxious huh? Refer to the post What does the PMP Certificate look like. 11.2 Does the PMP Certificate show the score? No, the PMP Certificate does not indicate the score or proficiency level as you can see (or cannot see) in the image above. 11.3 How long does PMI take to mail the PMP Certificate to successful candidates? You get the certificate in about 4-6 weeks after passing the exam. The time varies depending upon your coordinates on the globe. 12.1 What if I fail the PMP Exam? Hell won’t break loose if you fail your PMP exam. PMP Exam is not an easy by any means. Many candidates fail the exam on their first try. You should not get disheartened. Rather use the experience as a springboard for your next big leap and pass the exam. You can take the exam up to 3 times within one year from your application approval date. If you fail the examination three times within the one-year eligibility period, you must wait one year from the date of the last examination you took to reapply for the credential. You need to pay a re-examination fee for each retake. The re-examination fees also varies depending upon whether you are a PMI member. 12.2 What percentage of people fail the PMP Exam? According to popular guesstimate, about 30-40% people fail the exam on the first try. 12.3 Why do people fail the PMP Exam? If you thought that a high percentage of people fail the PMP exam because the exam is too difficult, then you would be wrong. Read Top 5 Reasons People Fail the PMP Exam for some interesting insights. 12.4 How many times can I retake the PMP exam? As mentioned above, you can take the exam up to 3 times within one year from your application approval date. 12.5 If I fail the PMP Exam, how soon can I retake it? You apply for re-examination and pay the reexamination fee. Normally, it will take about 3-4 business days for your previous exam result to be registered in PMI's systems. So, you'll have to wait until your previous result is recorded in their systems before applying for re-examination. You book the exam slot again with Prometric. The new exam date is within the one-year eligibility window. 12.6 How do I apply for PMP re-examination? You can apply for PMP re-examination through PMI’s Online Certification System. 12.7 What if I failed the PMP Exam before Mar 26, 2018? If a candidate failed the PMP Exam before Mar 26, 2018 and applies for re-examination, he/she would have to take the “new” PMP Exam, which is based on PMBOK® Guide, 6th Edition. It’s a double whammy. Not only would the person need to write the exam again, but would also have to prepare again based on a new course material. However, note that the Contact Hours, which were earned to qualify for the previous attempt, would still be valid for the “new” PMP Exam. 12.8 If I fail in the PMP Exam, can I apply for re-evaluation? Yes, you can apply for re-evaluation. You may submit a written request to the PMI Certification Department for review of their decision. Requests can be sent by postal mail to PMI, or by e-mail to certappeals@pmi.org. 12.9 Does the PMP Exam score report indicate previous failed attempts? Neither the PMP Exam score report nor the PMP Certificate has any reference to any previous failed attempt. 12.10 Will anyone know if I fail the PMP Exam? Yes, you will know, and anyone you tell will know. But rest assured, PMI does NOT disclose your test history to anyone other than you. Though they do publish a list of certified PMPs on PMI Online Registry, they do NOT publish a list of unsuccessful candidates. 12.11 What is the value of PMP Certification? I’m glad that you asked this question. I have a collection of useful links to articles and discussions on this topic here - Value of PMP Certification. 12.12 Where can I find more information about the PMP Exam? The most authentic source of information for the PMP Exam is the PMP Handbook. 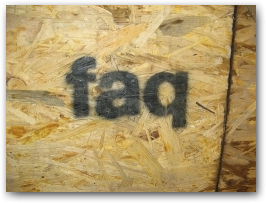 If you still have unanswered questions, you can post them as comments at the bottom of this page. I’ll try my best to get the answer and even include them in this FAQ list. 13.1 How do I contact PMI if I have any questions? You can contact PMI through email at certappeals@pmi.org or through phone. They have customer service centres in four countries. Refer to the PMP Handbook for details. 13.2 How long is the PMP Certification valid for? PMP Certification is valid for 3 years. Certified PMPs must earn at least 60 PDUs every 3 years in order to renew their certification. Refer to PMI’s Continuing Certification Requirements System for more details. 13.3 What is the difference between PMP and CAPM Certifications? Read the article PMP or CAPM: Which Certification is Right for Me? to understand the difference between PMP and CAPM certifications. 13.4 How many total number of PMPs are there in the world? As of March 31, 2017, there are 761,905 active certified PMPs in the world. If you have other similar questions like “What is PMI membership strength?” or “How many people pass PMP exam each month?”, please refer to the PMI Fact File. 13.5 How can I verify a person’s PMP credential? PMI publishes an online registry of all certified PMPs. You can verify a person’s PMP credentials if you know his/her last name. 13.6 How long does it take for my name to appear in PMI Online Registry after passing the PMP Exam? It takes about 7 to 10 business days for PMI to receive the exam result from Prometric. Overall, it may take upto 4 to 6 weeks for your name to appear in PMI Online Registry. Did you find this information useful? Please post all your queries here and I’ll try my best to answer them. Your comments and suggestions will be appreciated too. Harwinder, here is a question for you to answer....... Does PMI actually FOLLOW UP on what you claim if you've been audited? In other words, does PMI randomly select people and check with their references to see if the "evidence" they submitted as part of the auditing process was true? Follow on question- If NO, then doesn't it raise some serious questions about the credibility of the auditing process- rendering the whole auditing process to be nothing more than eyewash? A meaningless exercise with no purpose? First of all, welcome back. I'm genuinely honored that you still follow my blog even though it was dormant for a long time. 1. I have got 2 PMI certifications, but my applications were not audited. 2. I know a very few people who have actually gone through the audit process. Based on my guess, the percentage of applications audited might actually be less than 10%. 3. I have never come across or heard of a case where PMI actually called up the references. I think that the audit process is not effective. It is really hurting the credibility of the PMP certification, and the interests of qualified and skilled Project Managers who have put in their hard work and hard-earned money to achieve this certification. So yes, I think it's a futile exercise - a waste of time and resources. I don't think it's a deterrent for unqualified applicants (which is a huge percentage of total applicants). PMI is not doing enough to scrutize the applications for reasons which seem too obvious, and it will hurt them in the long term. I have been running a poll on this very same topic at the bottom of this page (you can see it right now). But that's what I heard. Thanks for sharing that bit, Jo Lynn. Hello, I have a question. I have the required hours of experience (>4500); however, I worked for 2 years and 11 months which is a month less than the required 3 years quota for persons having 4 years Bachelor's degree. Previously I worked as a lecturer at an university. My question is if I am still eligible to appear for PMP. I have a CAPM certification already. Thank you. Technically you are not, but if you have other experience like volunteering (with documented evidence) where you used project management skills, you can probably qualify. Or if you have experience in a technical role, where you've partially done project management activities like project planning, scheduling, costing/budgeting, communications management, vendor management, etc., then that experience can count as well. Otherwise, you could just wait and gain more experience and go for PMP. Thank you for the reply. It clarifies the things I need to do. Also, I would like to mention here that the BrainBok CAPM material was very helpful when I was preparing for the certification. Thank you for the excellent material. Thank you! I appreciate your positive feedback on BrainBOK. Hi, if i sponsors a PMP exam(PBT) and don't have minimum 10 candidates, what are the consequences? If I should fail the latest exam (PMBOK 5th edition), would I have to pay the regular ($400+) exam fee to take the 6th edition test, or would I pay the $200+ fee to "re-take" the test? You'll need to pay just the retake fee. Are the PMP exam questions repeated? Repeated in what sense? Can you clarify your question further? First of all, I want thank you for detailed explanation. I have a test on April 14 and my eligibility period ends on April 21. This will be my first attempt and I didn't prepared well for exam due my tight schedule at work. So two questions will arise here. 1. What if I don't go to my first attempt and reaplly. Do I have to wait a year for reapplying? How soon can I re-apply? 2.If I fail the first attempt, how soon can I retake it? Do I have a chance to retake before my eligibility is over? 1. I don't think you have to wait for 1 year. That rule applies to people who fail 3 times. You should be able to reapply immediately. 2. There's no written rule that says you must wait 'x' days, but I believe when you try to apply for the 2nd attempt right away, PMI system may not be updated with your first attempt results. Usually it takes a few days for your result to reflect in their system. So that might introduce a lag. Moreover, you may not want to go for the second attempt right away without proper preparation. I suggest you write to PMI Customer Care to get these issues clarified. Thanks a lot for such a detailed information. The FAQ section is great. I have worked as a Branch Manager in HDFC Bank for 5 years and have done my MBA. During the job i was leading a team of 7-8 persons and delivering on the objectives and targets of the management. All this involved planning, managing, alocating targets/tasks, motivating the team. Basis this am i eligible for PMP. I apologize for the late response. Based on what you have described, if your experience was on projects (not operations), you should be eligible for PMP. Can we substitute Contract Management experience for Project Manager experience? I work as a contract administrator/manager. The job’s title doesn’t matter but the responsibilities do. Refer to page 13 of my PMP Application Walkthrough guide and understand the responsibilities of a project manager. If you can map your responsibilities with it, you should be fine. You need to have experience in all 5 process groups.